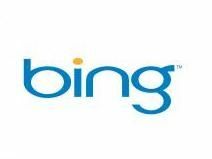 Twitter, Michael Jackson and Patrick Swayze have all been named in Bing's most searched topics for 2009 – although the data appears to be for the US. We've asked Microsoft for its Bing UK list, but in the meantime we'll have to make do with a look inside the mind of the US 'Binger' who was looking for kidnap victims, the recently deceased and 'cash for clunkers' - the US equivalent of the UK's car scrappage scheme. Outside of the likes of Jaycee Dugard, who spent 18 years in captivity, US celebrity stars Jon and Kate Gosselin and pitcher Billy Mays, swine flu, stock market and Twitter all made the top ten. But the winner, as you may expect, was Michael Jackson, who died suddenly in 2009, and dominated the media for months. So from that we can assume that the average searcher is death-obsessed, reality-TV watching hypochondriac who wants to trade in their car for cash and spend it on stocks and shares then talk about it in 140 characters or less.